My husband travels all over the world, and recently he had a wonderful trip to China. Everyone was so friendly and helpful, and he saw lots of amazing things. Best of all, he brought home some photographs that I can share with you. 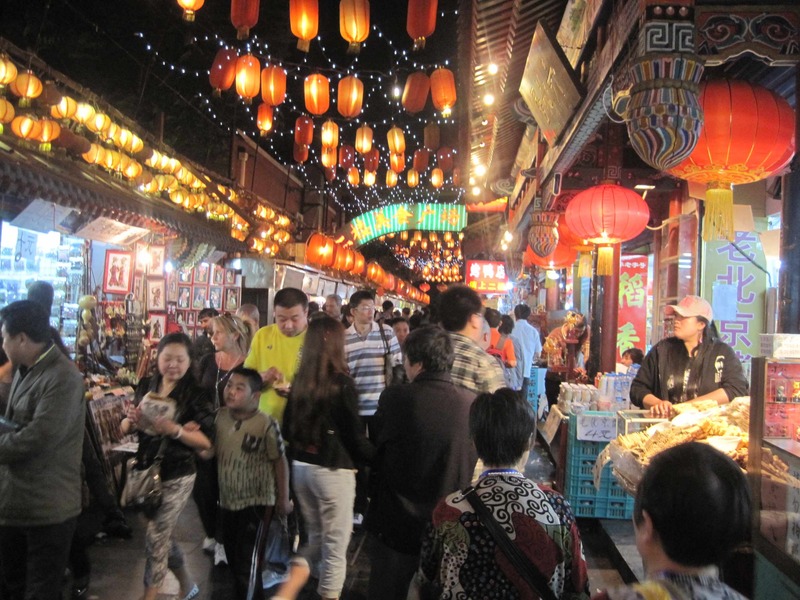 One of the places he visited was a city called Yi Wu, where there is an enormous marketplace with thousands of stalls and small shops. 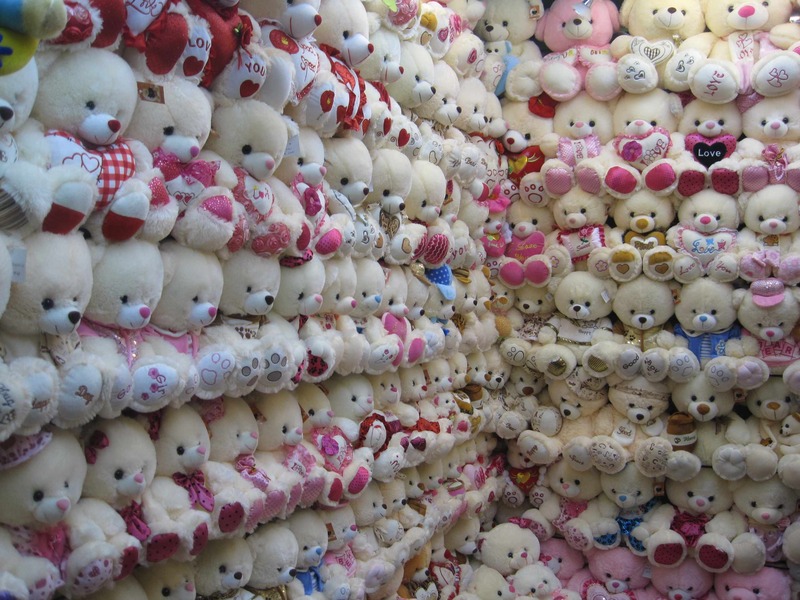 Inside this huge place you can buy teddy bears, toy mobile phones, brightly coloured balls and a million types of ribbon! And those are just a few of the many things for sale at this market. People come from all over the world to trade with each other. Do you see anything you would like to buy? 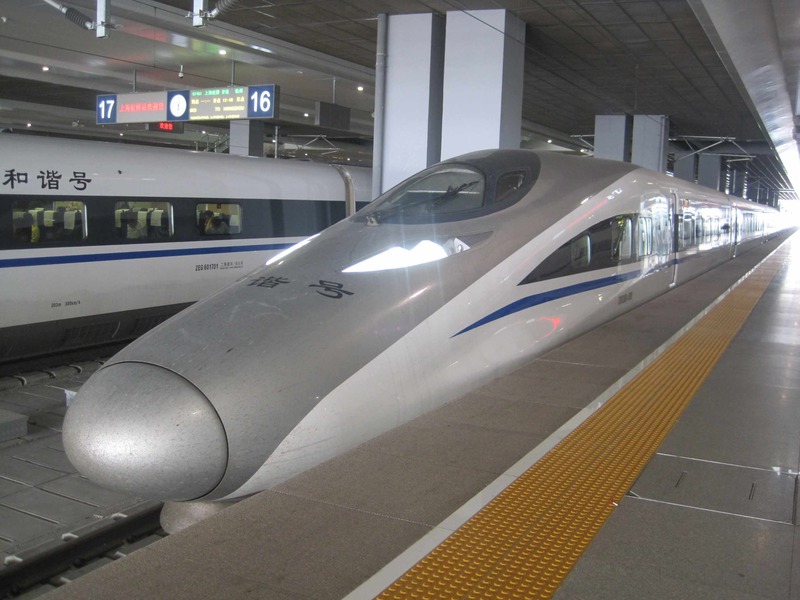 In China you can travel on super-fast trains with long, pointy noses. Some use the same kind of rails as our trains, but some Chinese trains balance on a single magnetic rail and travel at speeds of up to 330 kilometres per hour. I imagine at that speed the landscape outside must look like a blur! In Beijing there is a beautiful palace with high walls that for many years was the home of Chinese Emperors and their wives and children. It was called the Forbidden City because no ordinary people were allowed inside. 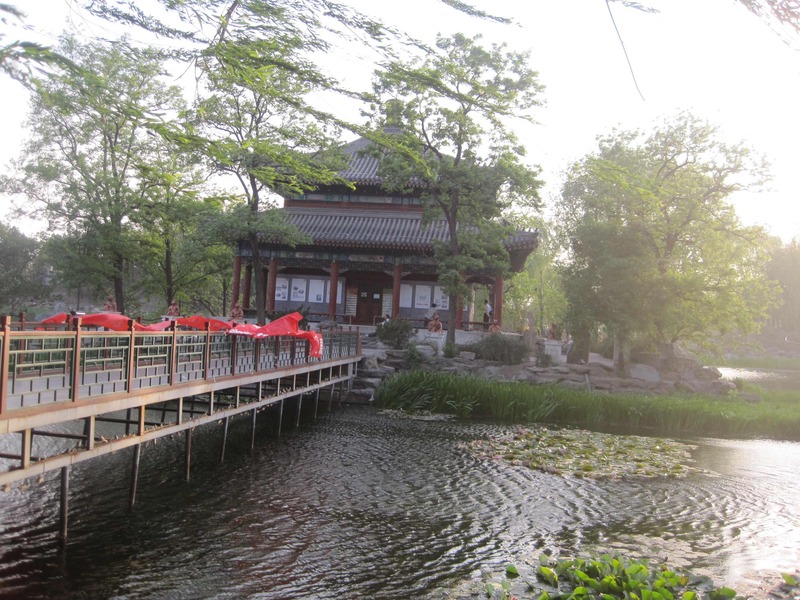 Now it is open to the public, and many Chinese people as well as tourists come to see the rich interiors and landscaped gardens. You can even dress up as an Emperor or Empress and have your picture taken! 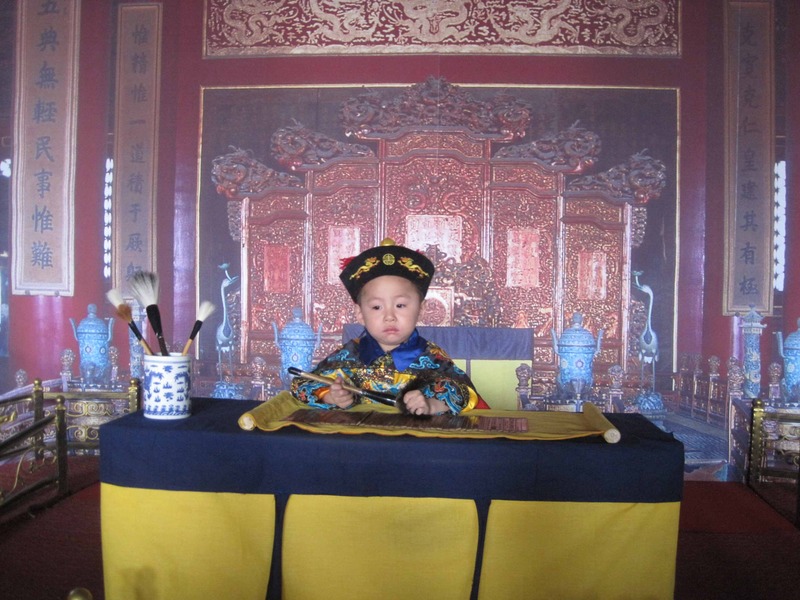 This little boy is dressed up as the Emperor, just like the real Emperor Pu Yi who was very young when he came to power. I think Pu Yi was often as fed up as this little boy looks, because he had no friends to play with. 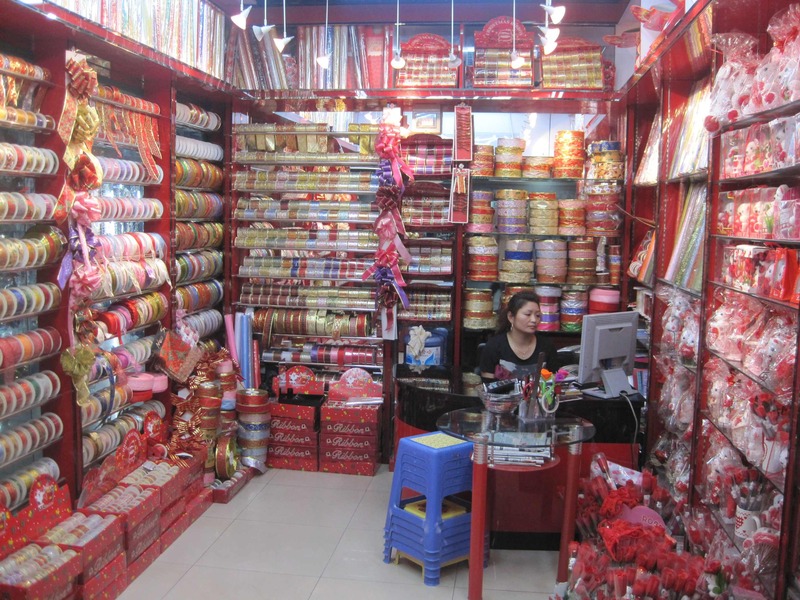 If you want to learn more about China, HERE is a website with lots of information. When I visit schools, children often ask me where my story ideas come from. Well, most of the time my stories are inspired by things that happen with my own children. For example, when my son was very small, he loved penguins but he didn’t love reading. So I wrote a little story about penguins to get him interested in books. That story became Pip Likes Snow. 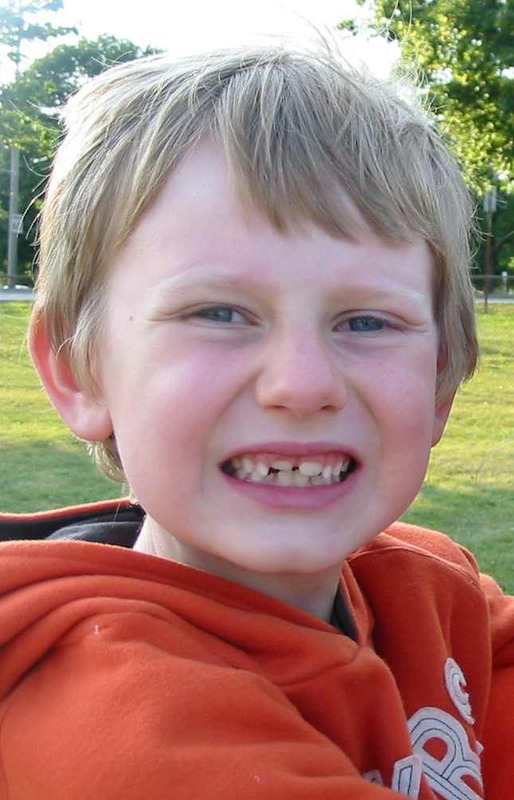 Around the same time, I wrote a story about a little boy who got frightened at night and would climb into to his parents’ bed. 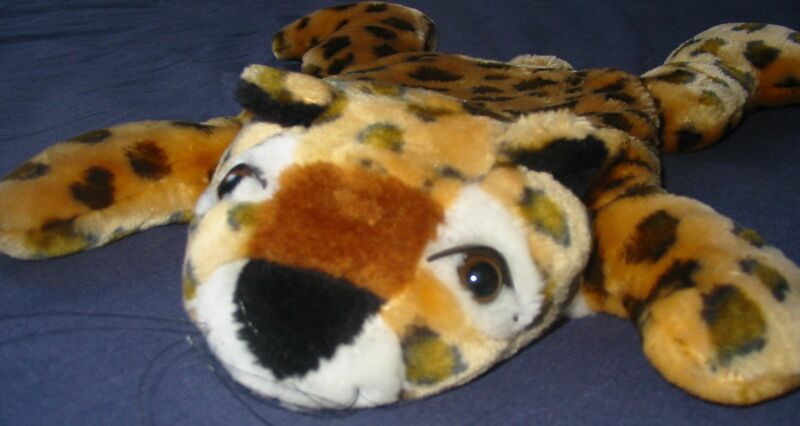 To help him feel safe in his own bed, his mum got him a snuggly leopard hot-water-bottle, and it worked very well! After that the boy slept fine, and he and the leopard had lots of fun playing imaginary games. 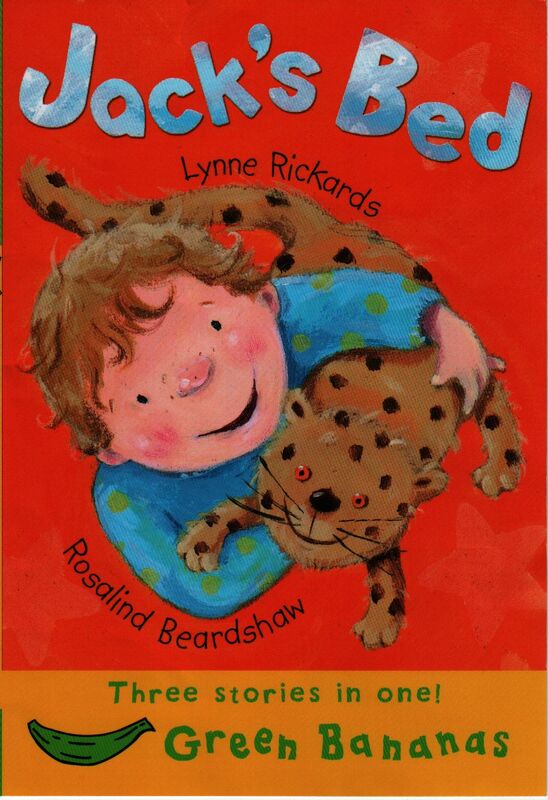 And here is the book that tells the story of that boy and his leopard friend. It’s called Jack’s Bed and it has three stories in one book. My son was so pleased to have a book written about him, and in fact the illustrations by Rosalind Beardshaw look a lot like him! Wouldn’t you agree? Today I had a lovely visit with the P3 classes at Glasgow Academy. We talked about poetry, pets and fussy eaters, and I read two stories to them: Jacob O’Reilly Wants a Pet and I Do Not Eat the Colour Green. 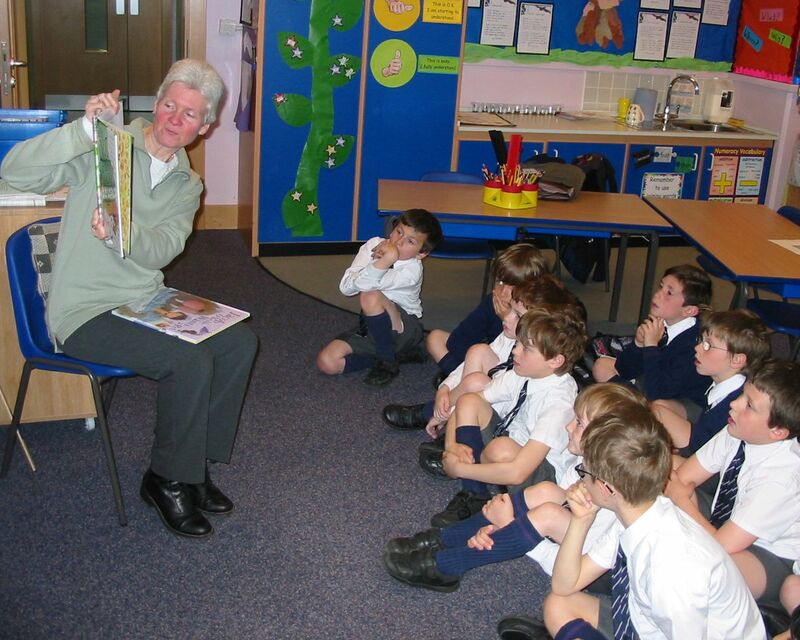 The children had spent some time looking at the other poems on my website, and told me they particularly liked Gloria Boring and Look, It’s Geraldine. One class had chosen Buster the Fly to post on their wall because they are studying mini-beasts at the moment. All the children in that class had written their own mini-beast poems. They were so good I wanted to share them with you here! I have chosen rhyming couplets from the poems by Ruby (1-2), Zainab (3-4), Honey (5-6), Rosie (7-8) and Lucas (9-10) to make one big counting poem full of mini-beasts! Ten little spiders riding on a snake. I think you’ll agree that the children have done some wonderful rhyming in their poems! I had a great time today, and the children had lots of interesting questions for me. Thanks to Mrs MacLeod who organised my visit, and to Miss Campbell for the photo she took for me to use. I’m sorry to have missed Mrs Berry who was unwell today, but the lovely Mrs Ferris was there in her place. Everyone made me feel very welcome, and I hope to visit again soon! I am very lucky to live in Scotland where there are so many lovely places to visit. Recently my family and I took a ferry to Arran, a beautiful island off the west coast. Arran has everything you could wish for: mountains, lowlands, pretty little towns, beaches and even a castle! 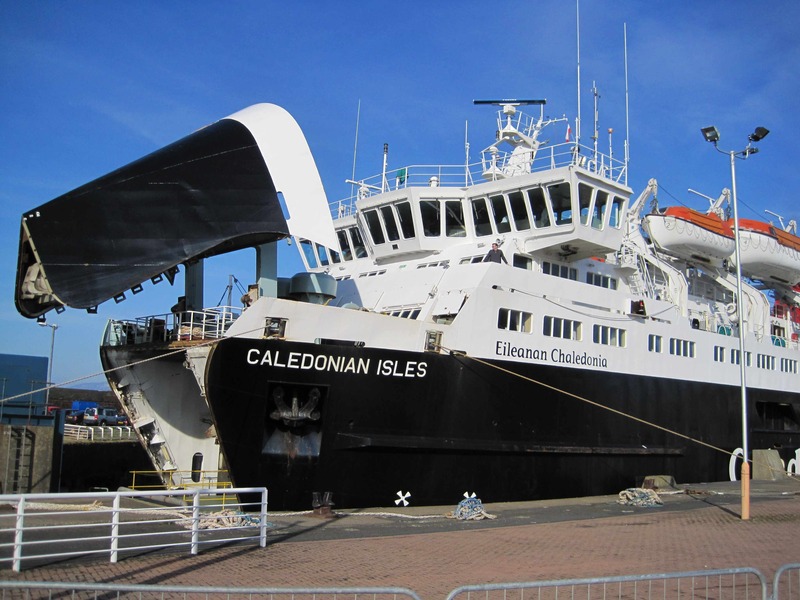 To get to any of the Scottish islands you need to start with a ferry journey. These are huge boats that can take cars and coaches on their lower decks, while the passengers all sit up top. It’s quite a sight to see the front of the ferry open up like a giant mouth to swallow up all the cars! Luckily it seals up tight so no water can leak in when you’re sailing. When you get to the other side you can hire bikes and ride all around the island. 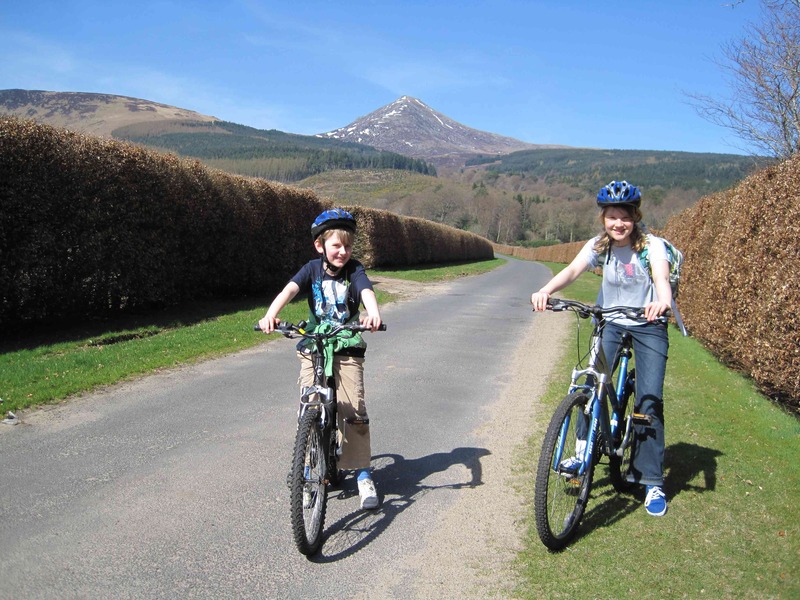 My children had a great time riding around in the sunshine, and where they were riding it wasn’t too hilly. Away from the towns there aren’t too many cars, so that makes riding a bike easier. On a few Scottish islands, cars aren’t allowed at all! One of the best things about Arran is Brodick Castle. You can visit inside and see all sorts of beautiful rooms with paintings in big frames and very fancy furniture. And outside the castle is an amazing garden which seems to go on forever! One part of the garden is carefully designed and well tended, and another part is like a magical forest you can wander through. 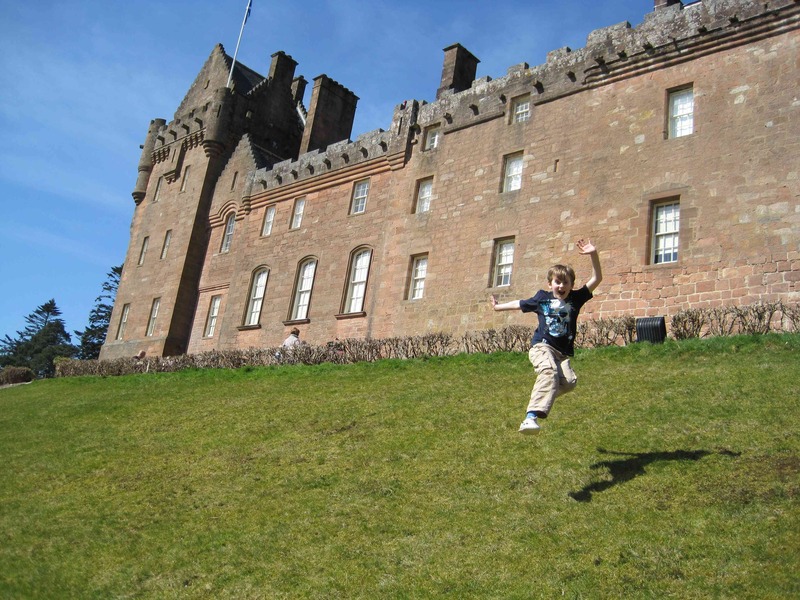 My son loves rolling down hills, so he just loved the steep hill beside Brodick Castle! He also had a fun time on the beach nearby. 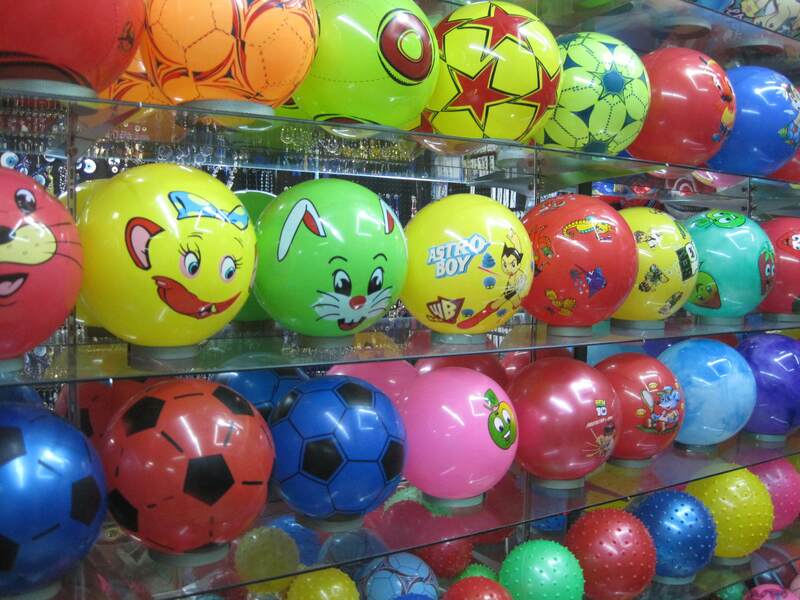 There’s a great shop right next to the beach that sells toys and ice cream, so it’s very popular with children. 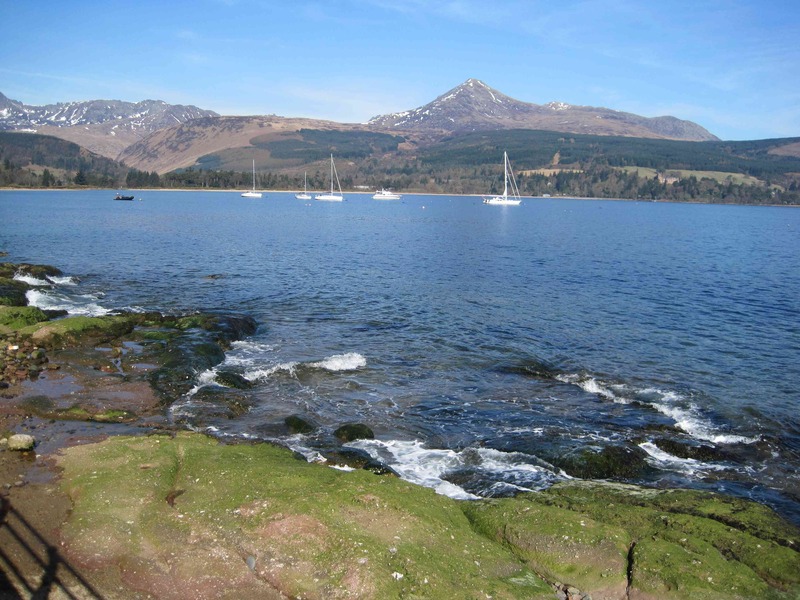 If you want to know more about Arran, just click HERE. 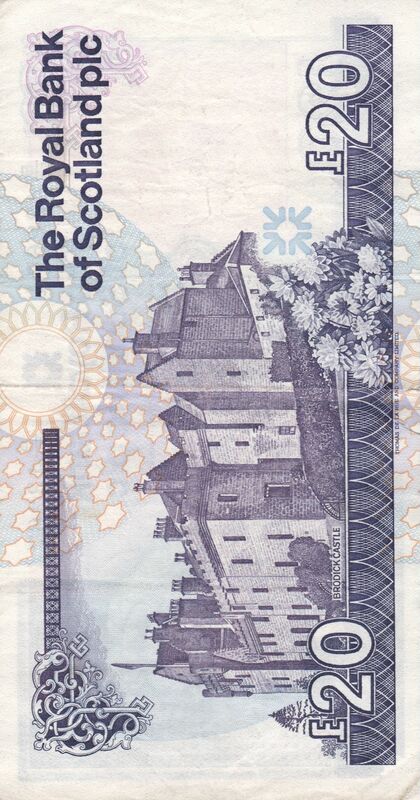 Brodick Castle can be found on the back of some £20 notes in Scotland. Doesn’t it look nice in purple? The other day I received a Floris Books catalogue. To my delight, when I opened it up, this is what I saw! 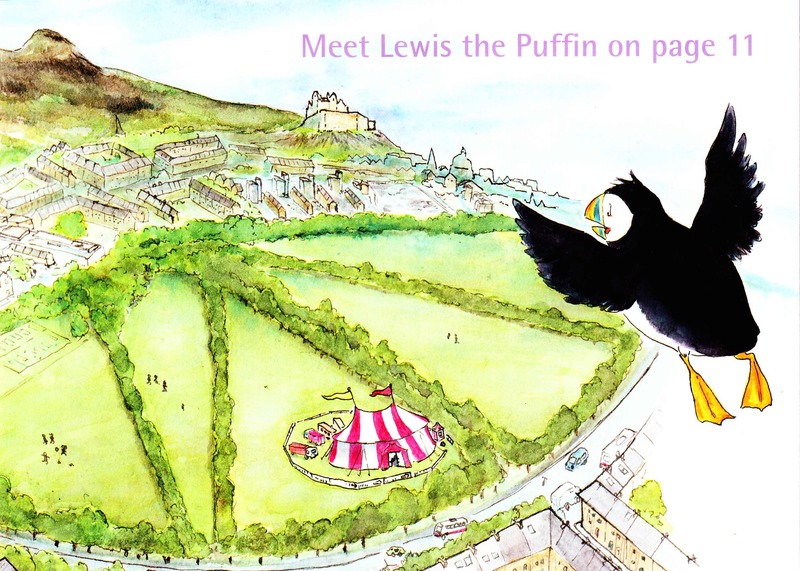 Floris Books are based in Edinburgh and they are going to publish my next book, Lewis Clowns Around. It’s a rhyming story all about a puffin who doesn’t really fit in. One day he decides to leave the crashing waves and tall cliffs to try his luck in the circus! Lewis is welcomed by the other circus animals and soon he’s working hard on flips and tumbles so he can be a brilliant circus clown. 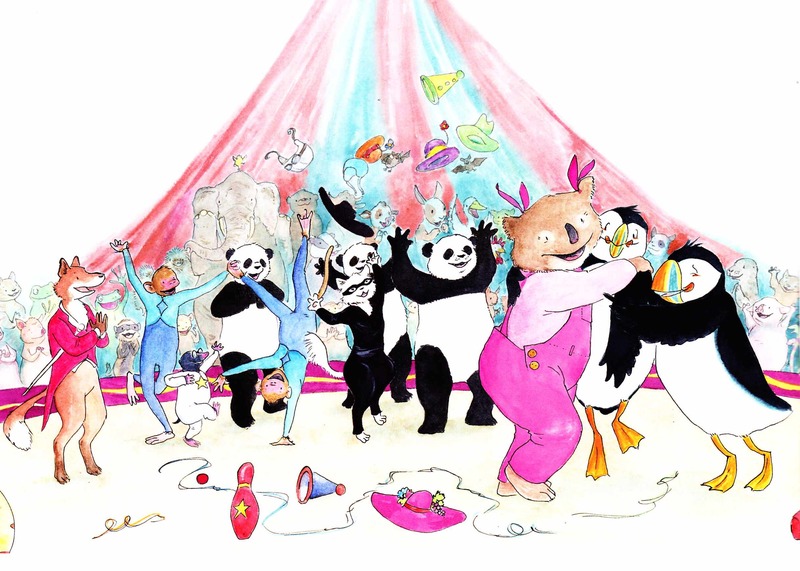 In this picture you can see him being hugged by Carla Koala and his brother Harris, and cheered by the Flying Blue Monkeys, the Balancing Pandas and Zorro the Highwire Cat. Circus life suits him perfectly! Lewis Clowns Around is coming out on 22 September. If you want to know more about it, just visit the Floris website HERE.